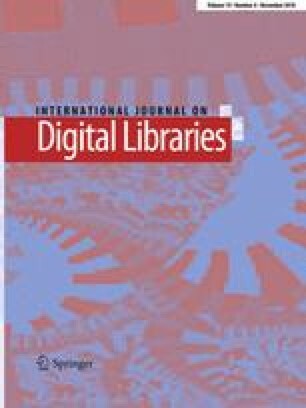 We present a deep learning approach for the core digital libraries task of parsing bibliographic reference strings. We deploy the state-of-the-art long short-term memory (LSTM) neural network architecture, a variant of a recurrent neural network to capture long-range dependencies in reference strings. We explore word embeddings and character-based word embeddings as an alternative to handcrafted features. We incrementally experiment with features, architectural configurations, and the diversity of the dataset. Our final model is an LSTM-based architecture, which layers a linear chain conditional random field (CRF) over the LSTM output. In extensive experiments in both English in-domain (computer science) and out-of-domain (humanities) test cases, as well as multilingual data, our results show a significant gain (\(p<0.01\)) over the reported state-of-the-art CRF-only-based parser. We would like to acknowledge the support of the NExT research grant funds, supported by the National Research Foundation, Prime Minister’s Office, Singapore, under its IRC @ SG Funding Initiative. We would also like to gratefully acknowledge the support of NVIDIA Corporation with the donation of the GeForce GTX Titan X GPU used for this research. We also acknowledge Muthu Kumar Chandrasekaran for insightful feedback on data handling and editing, along with Kishaloy Halder and Wenqiang Lei for their help in the ongoing integration with the current ParsCit pipeline.